Privacy-preserving computations on genomic data, and more generally on medical data, is a critical path technology for innovative, life-saving research to positively and equally impact the global population. It enables medical research algorithms to be securely deployed in the cloud because operations on encrypted genomic databases are conducted without revealing any individual genomes. This means that there doesn’t need to be a tradeoff between the utility, privacy and security of sensitive patient data. Methods for secure computation have shown significant performance improvements over the last several years; however, it is still difficult to apply them on big biomedical data. The challenge of Track 2 of this year’s Idash competition focused on solving an important problem in practical machine learning scenarios, where a data analyst that has trained a regression model (both linear and logistic) with a certain set of features, attempts to find all features in an encrypted database that will improve the quality of the model. As a finalist, our solution, developed and presented by Mariya Georgieva and Nicolas Gama, is based on the hybrid framework Chimera that allows for switching between different families of fully homomorphic schemes, namely TFHE and HEAAN. It is the only bootstrapped solution submitted to the competition that can be applied for different sets of parameters without re-encrypting the genomic database, making it practical for real-world applications. A solution built with Inpher’s open-source TFHE library was also awarded a prize in Track 3 of Idash, wherein the goal was to query for the longest matching DNA segments in large genome databases. The bootstrapping and circuit representation techniques implemented in TFHE allowed for the problem to be solved with a dynamic programming approach, and it turned out to be the best homomorphic solution for this genomic search. Congratulations to our team and all of the finalists for this important work! While citing executives from Microsoft Azure and Box, who acknowledge that "security trumps everything else", she insightfully recognizes that there is a novel approach to this dilemma that leverages encryption in-use. "New York-based startup Inpher Inc., for example, has developed technology that enables data to be processed while it remains encrypted, allowing machine learning and analytics to be run without ever exposing the data." Thales and Inpher partner for privacy-preserving predictive maintenance solution. 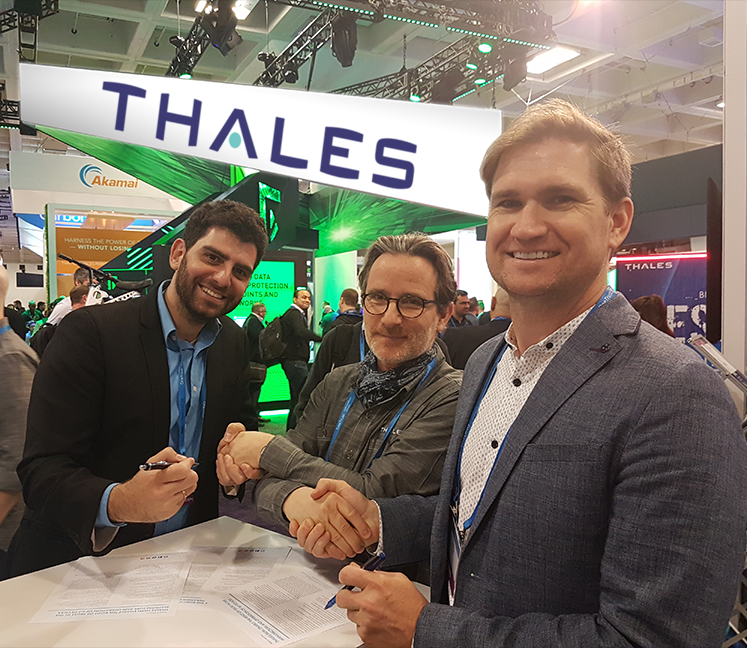 SAN FRANCISCO, April 18- RSA Conference: Thales and Inpher sign partnership agreement for privacy-preserving predictive maintenance solution. When anticipating the needs of high-tech fleets distributed around the world, more data is better. The challenge is that the owners and operators of the equipment cannot share information because it is often confidential, proprietary or both. In order to provide their customers with comprehensive, accurate and cryptographically secure predictive maintenance, Thales has signed an agreement with Inpher to use the XOR Secret Computing® Engine as a foundation of their innovative solution. This enables prediction models to be trained on distributed data sources without exposing or moving any of the data. Together with fellow Station F Cybersecurity Program startups QEDit and Keeex, the Inpher team looks forward to continued success in this partnership. From Financial News: "Playing with encrypted data — without seeing it"
As David Morris writes in the Financial News Fintech Files, "With the GDPR deadline bearing down on European financial services, compelling firms to show they comply with the rules by May 25, companies with international footprints are being rudely awoken by the potentially explosive problem of where the data lives — and who regulates it." This awakening has been long in the making; fortunately cryptography has matured accordingly. The interview with CEO Jordan Brandt continues to posit, "what if you could analyse and perform machine learning on highly guarded data sets like post-trade data, medical records and consumer credit without having to actually see the data itself?" Join what promises to be an articulate and poignant discourse on the capabilities and current limitations of Deep Learning in the complex legal and operational landscape of banking and finance. 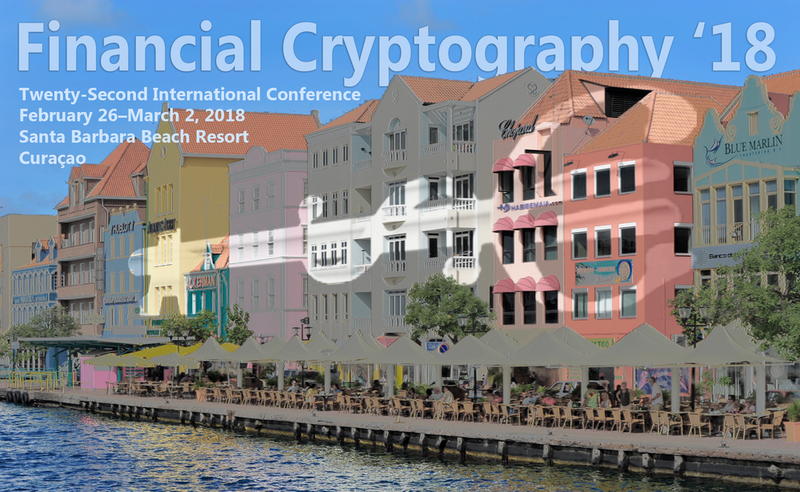 This year in Curaçao, the Twenty-Second International Conference for Financial Cryptography will convene with salient topics in secure computation, blockchain, cryptocurrencies and data privacy. The Inpher R&D team and academic collaborators will present their paper on High-Precision Privacy-Preserving Real-Valued Function Evaluation in the Privacy and Data Processing track chaired by Ian Goldberg. Yassir Nawaz, Executive Director at JPMorgan Chase & Co. The Advanced Financial Technologies Laboratory is widely recognized for innovative and quantitative research in financial markets. They bring equivalent rigor to their events so please join us for a day of real (and artificially) intelligent conversation! 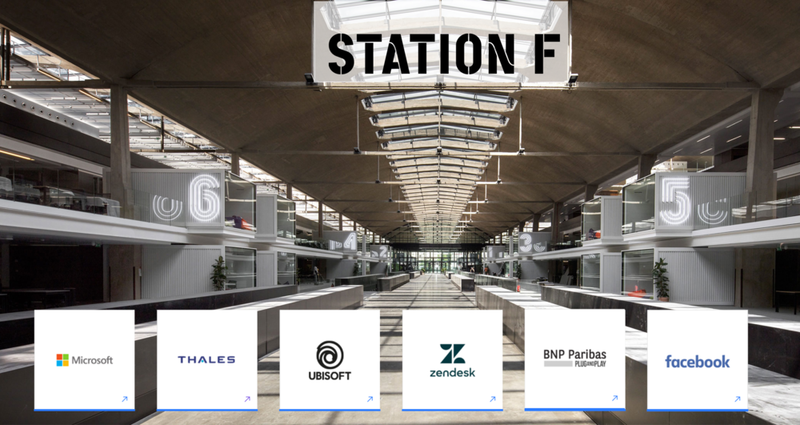 Inpher will join the Thales Cybersecurity program at the famed Station F to implement next generation products for analytics and machine learning on encrypted data. The global UBS Future of Finance Challenge supports start-ups, established and growing companies which have potential to change the way finance works and how banks meet their clients’ needs. Check out this article from Startupticker.ch for more on the program and finalists. Inpher's XOR Secret Computing Engine est en mesure de maintenir des données cryptées tout en exécutant dessus des algorithmes d'analyse et d'apprentissage machine tout en respectant la juridiction appliquée en matière de traitement des données et la réglementation comme la GDPR. June 16, Paris France. Out of over 40 applicants, Inpher was selected as a finalist for the Banking Cybersecurity Innovation Award by Société Générale and Wavestone. Secret Computing™ technology not only helps the bank protect their data, but empowers their data sciences teams to analyze it while remaining compliant with the upcoming General Data Privacy Regulation. The winning company to instill “Digitial Confidence for the Bank” will be announced on July 5. From the Wall Street Journal "ING Belgium Sees Opportunities for ‘Secret’ Sharing of Encrypted Data"
The Wall Street Journal reported on ING's use of Inpher's XOR Secret Computing™ Engine to run analytics on sensitive databases in multiple jurisdictions across the EU. This enables compliant and privacy-preserving machine learning to meet current and upcoming regulations such as GDPR, while opening the opportunity for secure secure cloud computing. Applications include customer marketing analytics and credit risk analysis. As one of the largest financial services conferences, the Temenos Community Forum (TCF) brings together representatives from across the financial services community including Temenos customers, product experts and thought leaders from around the globe. The theme this year is Real World Fintech. The Inpher team is participating in multiple sessions at TCF this year, including the PSD2 Panel on Open Banking, the Emerging Technologies panel and a presentation at the Temenos Marketplace. We will also be hosting a pod in the Marketplace to demonstrate how the _ultra Encrypted Query Module can secure data in the cloud to meet GDPR and ECB requirements while preserving the ability to share and search. Inpher was selected as one of 10 international startups for ING's Fintech Village to build a Proof of Concept with our next generation product for zero-knowledge computing. This will help ING to securely scale their cloud initiative and improve their analytical models by enabling computation on private data sources without ever seeing the data. The finalists for the Swiss Fintech Awards have been announced. We are honored to be in the company of esteemed colleagues: AAAccell, Gatechain, Crowdhouse and Advanon. From Ellipticnews, "The best paper award went to Ilaria Chillotti, Nicolas Gama, Mariya Georgieva and Malika Izabachène for “Faster Fully Homomorphic Encryption: Bootstrapping in less than 0.1 Seconds”, which shows that homomorphic encryption (in this case the GSW scheme with packed ciphertexts, together with a bunch of clever new ideas) is gradually becoming closer to practicality. 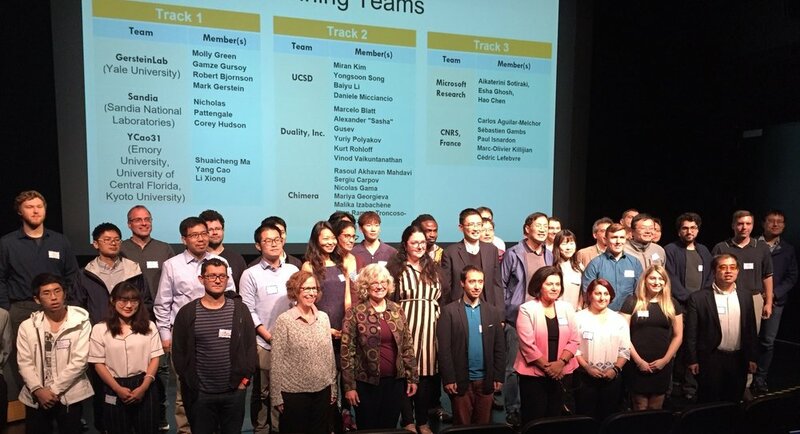 Here is a photo of the best paper award authors with the two program chairs (Tsyoshi Takagi on the left and Jung Hee Cheon on the right). Alexander Petric presents "Touch But Don't See; Applications of Encrypted Search and Computing" at Trustech in Cannes. Extracting value for corporate banks from Blockchain; the experts' viewpoint. Chaired by Ben Robinson, Chief Strategy and Marketing Officer at Temenos, the session was led by a panel of eminent industry experts from ABN Amro, Ripple, Deloitte, Inpher and Temenos, who discussed blockchain feasibility, the tangible value it could offer and its possible use cases. If you missed it, here is a full video of the event, plus a thoughtful summary report published by Temenos, that includes the following excerpt. "Jordan Brandt from Inpher highlighted that the privacy issue is tightly coupled, though not synonymous, with trust. Jordan added that ‘now we have very standard implementations of SSL and cryptographic protocols that enable us to establish trust between the buyer and the seller. Obviously e-commerce is now firmly established and we’re not going back. And I think some of the same issues are challenging broader adoption of blockchain implementations today. If we look at these fundamental technologies and what’s changing in the cryptographic world, there’s a lot of innovations happening. Interledger being one, and the other in which we’re operating in, is what happens when you can compute encrypted data. This means that I, as an individual, have sensitive information, whether it’s financial transactions or even my genetic data, and I can trust a third party to compute that on my behalf, without them knowing anything about the data itself. This really changes the idea of the trust model and I don’t need to trust a third-party. I don’t need even a distributed trust model.’"
Twenty-four Swiss FinTech start-ups will present their innovative solutions to the global financial community next week at the “Swiss FinTech Corner” at the Sibos convention in Geneva. Arranged through a public-private partnership, the booth provided by the event organizer aims to promote the excellence of innovative financial technology in Switzerland. From e-banking apps on our smartphones to contactless payment and cryptocurrency, FinTech, or financial technology, is already part of our daily lives. This rapidly developing field offers exciting opportunities for the financial industry worldwide. In Switzerland, the FinTech ecosystem comprises dozens of start-ups with a unique expertise. To promote their excellence and innovativeness, in partnership with the Geneva Financial Center, AlpICT, Barclays, Temenos and the Swiss FinTech Association, and with the support of Sibos, the Canton of Geneva is hosting a “Swiss FinTech Corner” (booth G54) within the Swiss Lounge (G60) at Palexpo, which will welcome 24 FinTech start-ups.